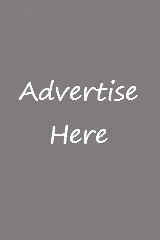 Find the list of all the major events happening in Goa on Amazing Goa. Goa is the most popular tourist destination in India and even internationally and has a host of events happening every month. Get complete details and contacts for all the major events in Goa so that you don't miss out on any action happening in Goa. Main Attractions: A tribute to the legend Chris Perry. The legendary Musician, Composer, Arranger Songwriter, Film Maker, Play writer, Teacher, Music Director, Producer Extraordinary, Virtuosic and an incredible Genius. Dates: June 2014, 11 AM to 4 PM. Main Attractions: Scintillating music by our very own music talent. Friendly Brothers, Cedric, Saxy Aggie and Allan Moraes. Main Attractions: The Goa Marathi Film Festival 2014 will feature 15 feature films from all generes and run the gamut from tougue-in-cheek comedy to chilling thrillers. The films 'Anvat' and 'Bioscope' will have their world premier at the festival. The festival will host more than 100 film personalities. Main Attractions: Watch KK live in Concert In Goa. Main Attractions: ABBA GOLD is the most successful ABBA tribute band in the world! Though the original band haven't performed together since 1986, fans still find a ray of hope in ABBA GOLD. Main Attractions: There will be competitions and display of Mango varieties, Mango Carving and homemade mango products. Walk in and participate in Seminars, Video shows and interactive sessions with experts on Mango Production Technologies, Ultra high density planting and pest and disease management. Main Attractions: A power packed entertainment programme that will feature music, dance and our own coconut and cashew DJs. Main Attractions: Enjoy Noite De Fado Live on May 6th 2014 from 8 PM at Cidade De Goa, Dona Paula. Dates: 22nd and 23rd March 2014 at Kala Academy Panjim at 1800 hours, 25th March 2014 at Ravindra Bhavan Margao at 1800 hours Main Attractions: Goa Naval Area in association with Kala Academy Panjim & Ravindra Bhavan Margao proudly presents Indian Naval Band In Concert. Main Attractions: The European Gourmet and Wine Festival at North 16, Goa provide visitors and locals alike a chance to taste the many flavorful dishes of the region, often times all in one place. 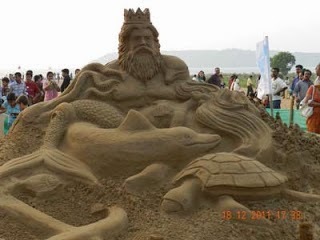 Main Attractions: The floats parade which will be held in the various cities of Goa. Main Attractions: The Bellamy Brothers held the record in both the Academy of Country Music Association Awards (CMA) for the most duo nominations. 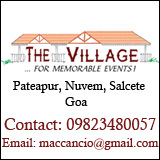 About The Grape Escapade 2014: The Grape Escapade 2014 is a 4 day Food & Lifestyle festival held in Goa annu,oally. During these 4 days the guests are exposed to some great food, great music and the finest Indian and international wines. Main Attractions: Performances from featured musicians, an open mic stage, workshops for the mouth harp and circus acts, campfires jams and artisan marketplace. Dates: 27th January 2014 at 6:00 PM. Dates: 24h, 25th & 26th Jan 2014. Location: Saunta Vaddo, Baga - Calangute, Bardez - North Goa. Dates: 17th Jan 2014, 11:30 AM Assembly, 12:00 PM Flag Off. Main Attractions: The Executive Committee & Cidade de Goa bring to you a Fado Concert by noted Fadista Cuca Roseta from Portuga. A celebration of Indo-Portuguese culture, art, music, dance & cuisine. Contact: bookmyshow.com to buy your tickets or you can get the tickets at the venue itself. Rates: Festival Pass Rs. 3000 and Day Pass Rs. 1800.